Bennett Global Entertainment, 9780986416200, 404pp. This critically acclaimed memoir chronicles the greatest social engineering experiment in American history. At the time, none of its participants were remotely aware of their status as lab rats. They were kids living behind walls, often ringed with barbed wire---ubiquitous signs warning of entry to government property that subjected them to rules and regulations unheard of in the general population. Military brats are a special subculture in America that one could easily argue is its own ethnicity. 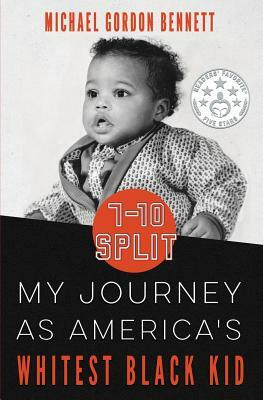 The author's experience inside the military bubble led to periods of intense confusion as to his own racial identity, alienation within the black community, and unease among white classmates---all compounded by parents who never had "the talk." His survival depended on gut instinct and observations he was forced to put into context without guidance. MICHAEL GORDON BENNETT is founder and CEO of Bennett Global Entertainment (BGE), a consulting and Hollywood production company with an expertise in travel, tourism, and myriad forms of entertainment programming. His professional accomplishments include: computer programmer, television and radio news producer, actor, host, author, speaker, advertising sales, and magazine writer. He's produced programming for the Travel Channel, NBC, and BET. He was appointed to BrandUSA as part of the Travel Promotion Act signed into law by President Barack Obama. Bennett is a graduate of California State University, Northridge and an Air Force veteran. He has one adult son, Michael and currently lives in Las Vegas.